The Spartacus HD Tire Carrier Wheel Mount provides the ultimate in strength and adjustability for mounting your oversized wheel and tire. The Wheel Mount lifts the mounting position and incorporates depth and tilt adjustability for large diameter and wide tire options. Includes adjustable third brake light bracket. Compatible with OE and most aftermarket rear bumpers. No drilling required. 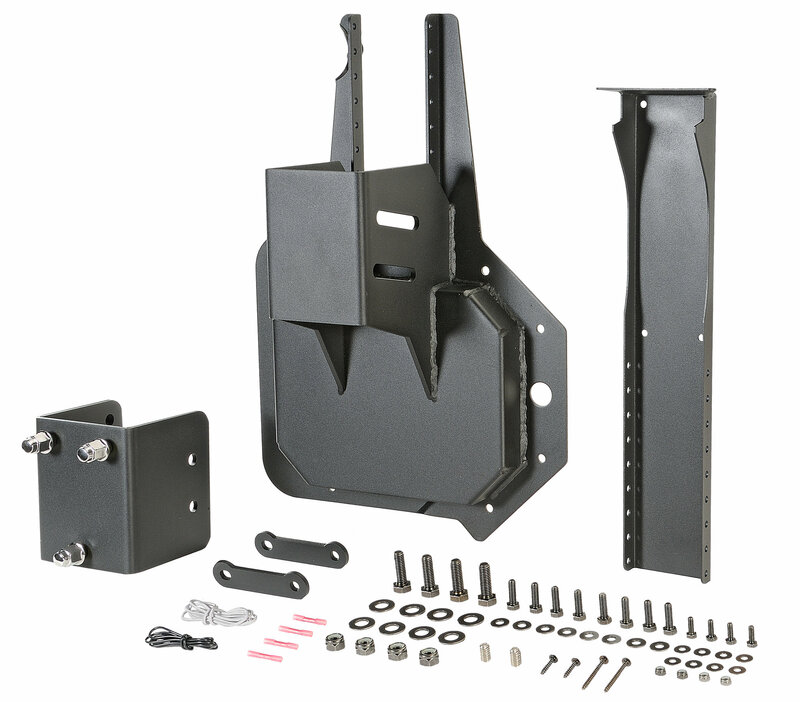 Recommended pairing with Spartacus HD Tire Carrier Hinge Casting (P/N 11546.51) for up to and including 37 wheel/tire carrying capacity. Quick and straight forward install. Didn't get the fifth star because the included hardware started rusting pretty quick.